Oct. 15th 1pm-4pm Loudon County Animal Shelter -Adopt a Dog! -two free tickets to Deep Well Farm to anyone who adopts a dog that day! $10.00 per person. Everyone must pay admission fee to this event. Free Admission for children 12 months and younger. -Wagon Rides to the Easter Egg Hunt Area and Around the Farm! -Complimentary Stuffed Bunny or Water Gun, or Similar Toy for each child in exchange for returned plastic eggs! -Complimentary Goodie Bag, (1 per family). Included is a Voucher for a FREE Papa Murphy's pizza ( voucher for the first 250 families), a FREE kids meal at BoJangles, assorted candy, additional coupons and other items included! Restrictions may apply to items from participating 3rd parties. -Visit with our EASTER BUNNY character! Take pics with your child or family! -Baby Goats, Baby Rabbits and Baby Chicks, -PLUS- all of our normal farm animals including Pigs, Sheep, Goats, Chickens, Ducks and Pony! -Complimentary small container of Goat Feed for each child to hand out! -Complimentary Play on our large Playground Equipment including 120 ft Slide (adult friendly too), Cross Swing Bridge, Tube Slides, Tire Mountain, Tractor Slides, Rope Climbing Wall, and MUCH MORE! -Complimentary Bottled Water and Fresh Popped Popcorn in addition to the concessions sold from Bojangles on site! -Lots of Picnic Tables, Seats and Shade! -Stay and Enjoy our Farm from 11am - 5pm! THERE'S SO MUCH TO EXPLORE! COME MAKE MEMORIES WITH US! ​Friday March 25th & Saturday March 26th, 2016! Included in admission: farm animals, play areas & wagon rides! Appropriate for Ages 1-10 yrs old. Gift Bags given out in exchange for returned Easter eggs. $8 + tax Admission / Cash or Check Only Please! *Everyone is required to purchase admission ticket. Admission includes: LARGE PLAY GROUND EQUIPMENT AREAS, BABY GOATS, BABY CHICKS, BUNNY RABBITS AND OTHER FARM ANIMALS. HAYRIDES, & PICTURE OPPORTUNITIES WITH OUR VERY OWN EASTER BUNNY! 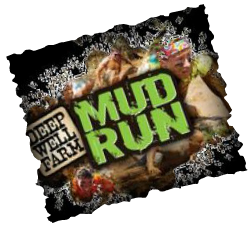 3rd Annual 5K Mud Run at Deep Well Farm! Mud. Tires. Tunnels. Trenches. Hay. Hammers. Habitat. MUD PIE AND SPRINKLER DAY! Saturday, June 1, 2013, 10am-3pm. 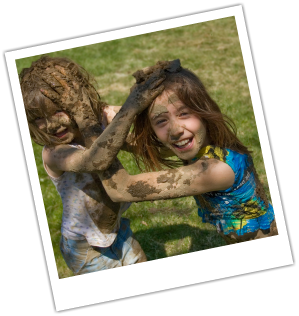 Do you remember making MUD PIES when you were a kid? Now you can give that experience to your kids. We are going to be making mud pies and playing in the sprinkler. We have an area where the kids can wash off if they get too muddy. Farm animals, mega slide (110' slide), play area and hay rides will still be going on all day. Bring swimming suit, change of cloths and towels. 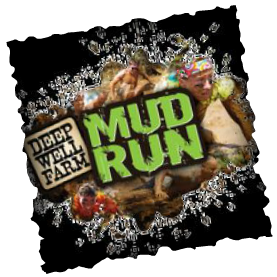 The 2nd Annual Deep Well Farm Mud Run! A team-based 5k race through mud and obstacles, with proceeds going to support Habitat for Humanity!